The Audit properties are the properties that are stored into an Audit trail. 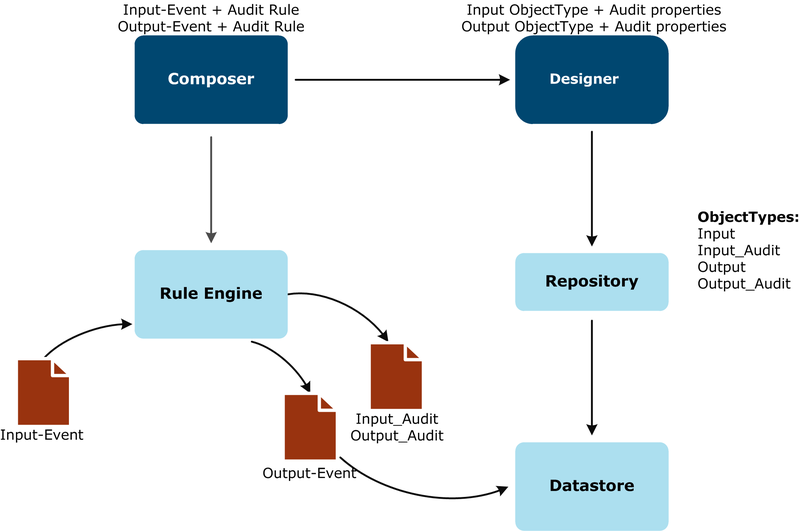 The Audit property list corresponds to the “Audit Rule” that is created and associated to Input or Output-Events definitions in the Composer. When Input and Output-Event definitions are transferred to the Designer, Object Types are created and Audit properties are set according to the Audit Rule that was attached to the Input and Output-Event definitions. When the configuration is published in the Repository, a new Audit Object Type is created for each Object Type that contains Audit properties. When the Rule Engine handles Input-Events files, it generates Output-Events and Audit files. Audit files formats are based on the Input_Audit and Output_Audit Object Type definitions. These Audit files can be imported into the Datastore and the audit traces become available to the users. 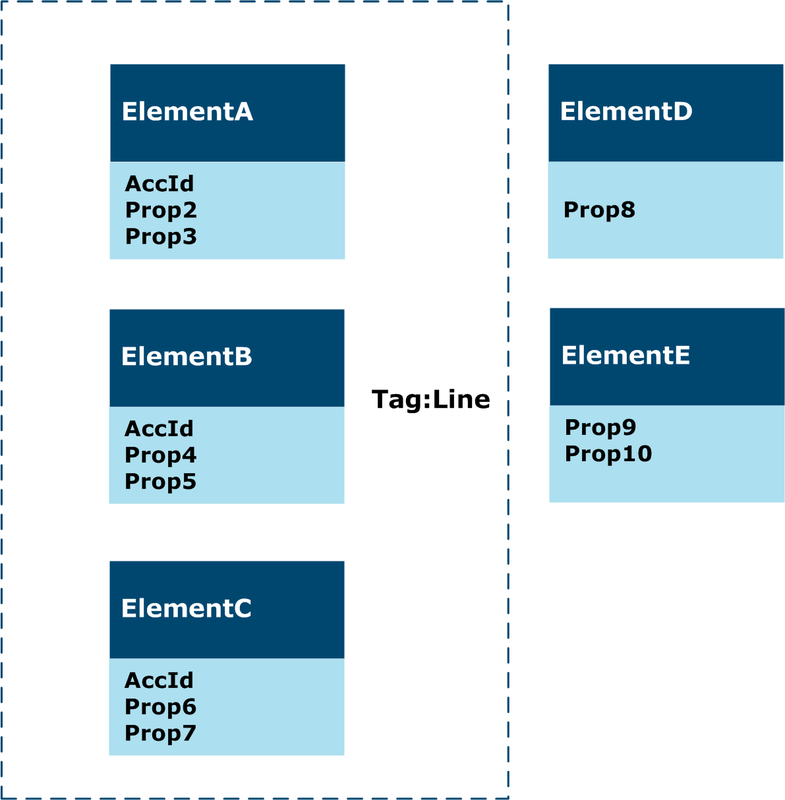 Tags provide a flexible way to process Object Types and Element Types. Types that share the same tag constitute a group. Properties on the types of the group that have the same name and same data type become the common properties of the tag. Queries in the Datastore on a group of Types. A query such as Get all Line where Account Number=’123456’, returns all the instances of Order line, Invoice line and Accounting line for which the AccId property=‘123456’. You create Tags in the Designer Global settings definition. To define a group related to a given tag, you must select a value (system or customized tag) in the available tag list provided in the Object or Element format definition. Execution settings, you can select a Tag for both input and output fields to filter the Object Types and gather results from different Object Types that are grouped under the same tag value. Filter expression, you can select among the union of all the properties of the types that have the same tag. You can specify a validity period for the Object Type. A typical use is activating a new version of an Object Type while deactivating an old version. The Datastore uses the Object Type validity period to optimize the structure of the partitions it manages. At import time, the incoming data must correspond to valid Object Types.